While there are hundreds of “obvious” pieces of advice you’ll receive while planning your wedding, I wanted to share a few of the less obvious words of wisdom with you. Most of these I would have loved to have known before my wedding – I hope they help some of you! If your dress is floor length or longer (or has a train of any sort) – try and stay away from grass. 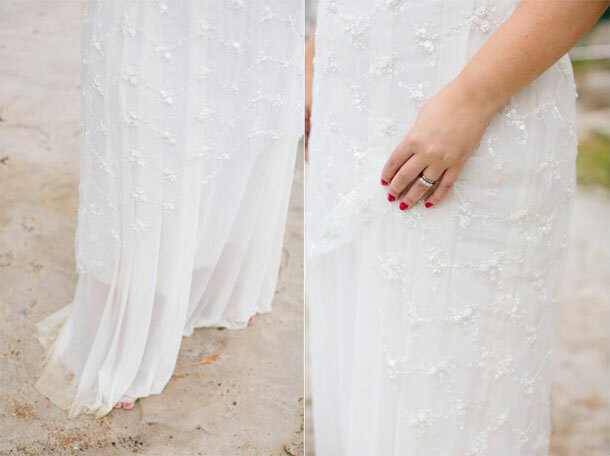 Thankfully it was hidden in all of my photographs, but there was an assortment of mud and grass stains at the bottom of my dress – from where either myself or guests had stood on the back of it. This generally won’t be a problem on paving but keep an eye out if you’re going to be near grass. I wore my hair down, and had my veil perched in my natural hair with a clip. 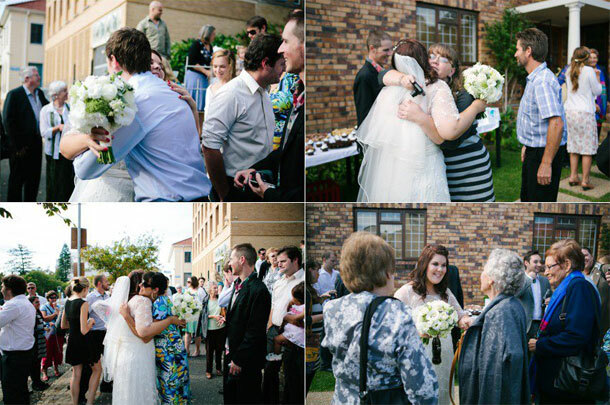 It was fine for walking and sitting –but when guests started hugging me afterwards to congratulate me, of course the veil was down my back, and got tugged out of my hair with each hug. I’d suggest either making sure your veil is very firmly secured in your hair, or if not – remove it for all the hugs and celebrations – and then put it back in for your official photographs if you’d like. A small thing (aren’t they all, mostly?) but we never arrange to have the church lights switched on before the service. It wasn’t a major issue (I didn’t even notice!) but my mom did – and if it’s something you can arrange beforehand, try and do it. Thankfully our reception venue thought of this, but I thought it was such a nice touch to actually plan: vases for you and your bridesmaids’ bouquets. To keep them well hydrated and cared for while you enjoy your meal – and make sure they last until the next day. I had the same problem with my veil, it kept getting yanked off my head! Great advise to take it off for greetings and hugs, will save you from having to reposition it all day.